The 2014 World Hockey Championships are well underway in Minsk, Belarus and you may have heard a little about the tournament in between Stanley Cup Playoff games. It's been an interesting tourney so far as we've seen France upset a Canadian team of NHLers and Isles goalie, Anders Nilsson, actually make saves. As in the past, there's not much attention surrounding the tournament, but there's always a few guys to keep an eye on as the tourney could represent something bigger for them. Whether it be getting some confidence for next season, looking good in front of NHL scouts, or simply making a case for more money come contract time, there's some added interest in watching a few players play. The 18-year-old showcased his skills this NHL season with a Calder-worthy season and even put up 10 points in 7 playoff games with the Avalanche. His speed and vision on the big ice should be fun to watch and we wouldn't be surprised if he's one of the top scorers at the tourney. MacKinnon's looked good so far with 2 points while averaging over 16 minutes/game, and we expect his scoring to increase as he gets comfortable on the bigger ice. The pending RFA could have more than a few NHL scouts watching his play as Reimer will most likely be shopped around this offseason by the Toronto Maple Leafs. Reimer last played for Canada at the Worlds in 2011 and posted a 4-0 record, .920 SV% and 2.04 GAA, but once the medal round started Reimer was benched in favour of Jonathan Bernier in what would be foreshadowing for this past Leafs season. Reimer opened the tournament with a loss to France, but he did play great in front of a low energy team and bounced back with a 31-save win over the Czechs. 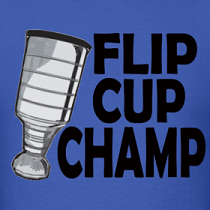 The feisty Finn left the NHL for more playing time in the KHL and earned a spot on Finland's bronze medal winning Olympic team as a result. Komarov led his Dynamo Moscow team in scoring this past season and his return to North America as a UFA seems imminent. If he can replicate his Olympic play at the World's he'll have plenty of offers on the table as every team wants a pest with hands. The young Czech forward wowed us early in the season by forcing Marty Biron into retirement and would have been a Calder candidate if not for a knee injury suffered in December. He still managed 25 points in 37 games and even contributed in the playoffs with 2 goals and 3 assists in 7 games. His offence is on display at the World's with 2 goals and 2 assists so far and he looks pretty good playing with his childhood hero, Jaromir Jagr. Arguably the best 2nd half player of the NHL season with 23 goals in his final 34 games, Nyquist dried up in the playoffs with 0 goals and 0 assists in their 5-game series loss to the Bruins. If Sweden is going to win a medal at this tournament, Nyquist is going to have to light the lamp to the medal round as Sweden is pretty weak up front. He's already potted one goal which is more than he did all playoffs and we expect that scoring to continue as the go-to guy for the Tre Kronor. 40-year-old Thomas will be the starting goalie for the United States and this might be the end of the line in Thomas' playing career. In 48 games in the NHL this year Thomas put up a below average numbers with a 2.88 GAA and a .908 SV%. He is backstopping a young American team that makes plenty of defensive errors in their own end and Thomas hasn't been able to stand on his head sporting a 3.18 GAA and .877 SV% in 3 games played. 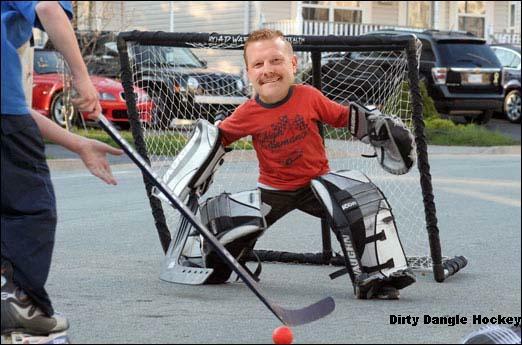 This could be the last time we see the greatest NHL ball hockey goalie play. The #4 North American skater in the 2014 NHL Draft Rankings, Draisaitl could be one of the most watched players at the tournament as NHL scouts get one last look at him on ice before the June draft. 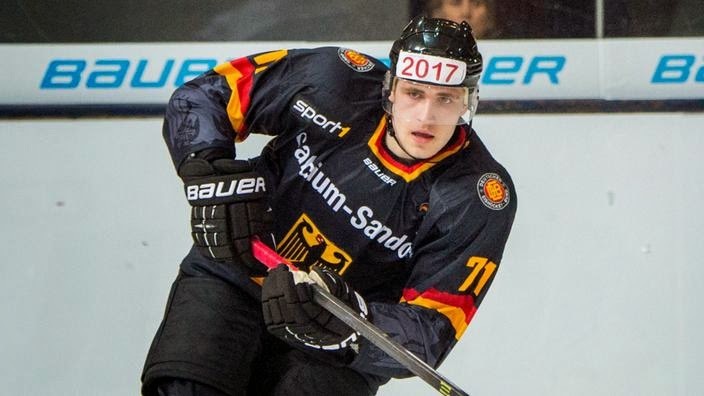 Draisaitl put up 105 points in 64 games this year in the WHL for the Prince Albert Raiders and could have a breakout tourney making his German national team debut. He's already picked up an assist and was named Germany's best player in their opening game against Kazakhstan. Another potential Top 10 pick in this year's draft, the 3rd ranked European Skater will be representing Switzerland for the 3rd time this year. Fiala has already suited up at the U18 and U20 tournaments and it will be interesting to see what this 17-year-old can do playing against men. Fiala picked up an assist in the Swiss' game against the US and is the only plus player on the team after 3 games played. Last but not least, Ovechkin is the biggest star at this tournament and he's bound to score a few goals for Russia after winning the Rocket Richard Trophy in the NHL this year with 51 goals. Ovechkin leads the tourney after 3 games with 3 goals and 6 points and you should expect those numbers to increase with remaining round robin games against Kazakhstan, Latvia, Germany and Belarus. We are also looking forward to the potential of Ovie laying out Jagr again. I am at work when these games play. Zero interest in this tournament.